Take time during your visit to stroll through our charming village and look at the distinctive architecture, follow the Civil War Trail signs, and visit our shops and galleries. If you really like to walk, you can visit The Farm at Sunnyside, two miles away, which made national news when First Lady Michelle Obama purchased organic vegetables from its stand at the White House farmers’ market. Many of the streets in Little Washington bear the names of the first families to own land on which the town was founded: Jett, Wheeler, Porter, and Calvert. You’ll note the variety of architecture. Washington House, now The Inn at Little Washington Shops, is an authentic large colonial-period structure, circa 1735, where the county government first held its meetings. 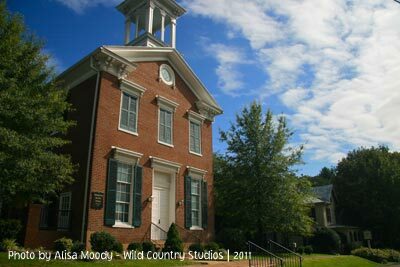 Some of the brick Rappahannock County government buildings, circa 1835, were constructed by James Leake Powers, an apprentice of Thomas Jefferson, while Malcolm Crawford constructed the courthouse. Other buildings are frontier cabins, some now covered with clapboard or pebble dash. As a modern town that maintains the charm of a country village, Little Washington has a unique blend of rural character and historic significance. 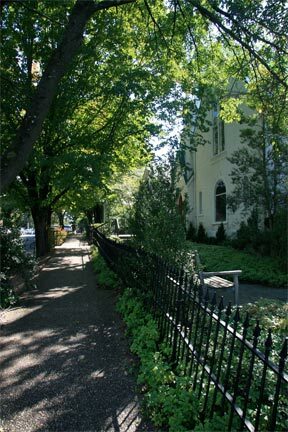 Its mixture of open spaces, village-style commerce, historic structures, cultural offerings, and local government activities makes it a peaceful yet vibrant community sought after by Big Washington (DC) area residents who have come here and made this their home. Galleries offer top-notch individual and group shows throughout the year, and concerts are given that satisfy every musical taste-bluegrass, classical, gospel, or jazz. Live performances are presented at the two theaters, and the Rappahannock Association for the Arts & Community sponsors a regular schedule of Friday night movies, as well as a fall artist and gallery tour. Visitors interested in local history should stop by the Rappahannock Historical Society to peruse its selection of documents and records. 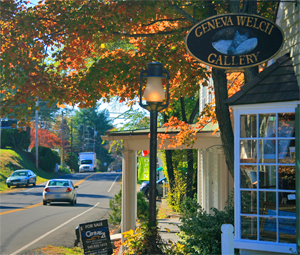 Geneva is a nationally known artist, displaying watercolor, oil paintings and dry-point etchings of animals and country scenes. Limited edition prints and hand painted ornaments and platters. Open Thursday – Monday 11:00am – 6:00pm. Carries items unique to the Inn, including its own breakfast china, granola, bread and items designed exclusively for the shop. 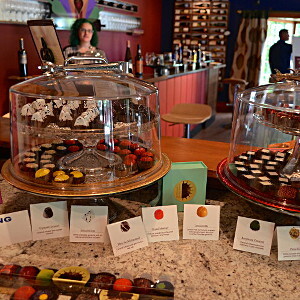 Open daily at 10:00am until 6:00pm Monday – Thursday, 8:00pm Friday, 10:00pm Saturday. Handcrafted home furnishings and accessories. Little Washington Wellness & Spa invites you to come unwind with us. Our holistic services include facials, microdermabrasion, massage & spa body treatments, couples spa services, energy treatments, meditations, wellness coaching & more. We strive to provide all natural and organic products. See our calendar for our workshops & seminars, or stop by and treat yourself to our wonderful products. 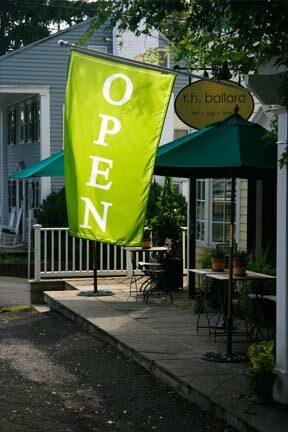 New Client & Rappahannock Residents Specials, online booking & Gift Certificates available. Many visitors enter the doors of this library, museum and gift shop to not only learn more about the Town of Washington but also the county it is in, Rappahannock. Washington, Va., is the county seat of Rappahannock. The historical society collects, preserves and interprets the unique history and heritage of this area. The museum contains artifacts of the county, some of which are prehistoric, donated by descendants and generous benefactors. The gift shop features historical maps, memorabilia and products from Rappahannock County. 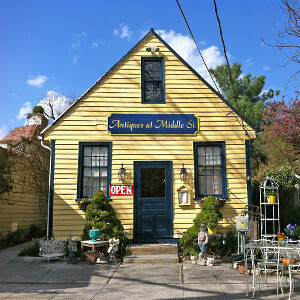 Sculpture, architectural elements, modern & vintage objects for garden and home, planters & furniture. The Reverend H. Miller Hunter, Jr.
Sunday services at 8am, 9:15am and 11:00am. Built in 1873, impressive Renaissance revival style architecture. Everyone is welcome to our morning worship service each Sunday at 11:00am. Established 1873. Sunday School: 9:45am; Church Services: 11:00am.